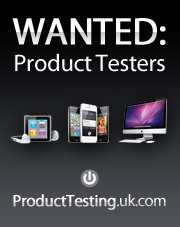 Product Testers Needed. Have your chance to test great gadgets like iPad, Mac and iPhone and after you review them, you get to keep it! Restrictions: No Incentives. All email marketing activity must be approved by your account manager, before being sent out.